A home security system can be an alluring element in a Roslindale rental house. For the renter who’s security-conscious, a residence complete with cameras or alarms can offer peace of mind that other rental homes don’t provide. But, on another note, a home security system doesn’t come without several problems. In preparation for making a decision whether or not to furnish a home with security cameras, it’s necessary to take into consideration a few of the positives and negatives. It’s likely that the greatest payoff of security cameras is that they give an added sense of security for your rental home, tenants, and their material possessions. There is at present a broad range of security systems readily on hand, several of which integrate cameras along with alarms and professional monitoring. Particularly in areas where crime rates are high or vandalism is a problem, security cameras can act as both a deterrent as well as provide critical evidence in the event of a crime. In these neighborhoods, putting up security cameras can perhaps be worth the expense by virtue of the potential increase in rents. Considered one of the major snags to installing security cameras in a rental home is the upfront expenditure of doing this. Security cameras can be a massive expense, and unless you are positive that your specific situation will guarantee that you will get back the cost, you may wind up losing money in the end. On the other hand, through the latest advancements in home security systems, we now have access to smaller, low-cost devices that give the advantages of a full-scale security camera system without the expensive cost and professional installation. Rather than installing the security cameras yourself, you may leave it up to your tenants to invest in those devices themselves. 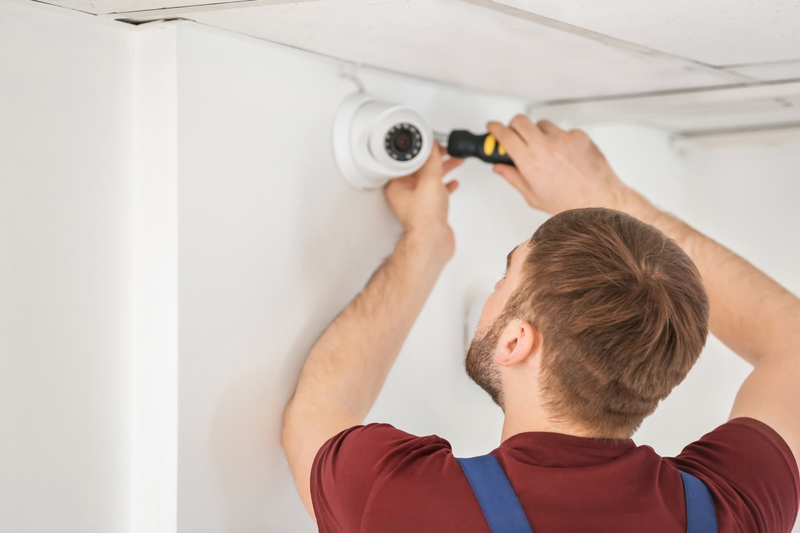 It is essential to seriously think of all the disadvantages and advantages before you decide whether or not installing security cameras in your Roslindale rental homes is a good investment of your hard-earned cash. The good news is that Real Property Management Boston can assist you. We can offer you the experience and information you require to make an informed choice, making certain that every single rental home has the components your renters are looking for all the while keeping your expenditures down. If you are keen on learning more, contact us online or by phone at 617-996-0708 this day!